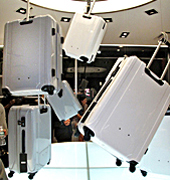 Zero Halliburton Brings Stylish Luggage Collections to the U.S.
Iconic luggage manufacturer Zero Halliburton has launched its U.S. flagship store in Manhattan's midtown business and shopping area, a stone's throw from travel hub Grand Central Station. The company hosted a grand opening soiree on June 13th to inaugurate the new 1,600 square foot space at 300 Madison Avenue. The showroom is designed around the theme of outer space exploration, a reference to the fact that Zero Halliburton's durable luggage was used by Apollo astronauts to transport moon rocks back to earth during a mission. New York new collections include suitcases, briefcases, and travel/lifestyle accessories in bold colors and styles, constructed with aluminum, nylon, polycarbonate, and other impact resistant, high quality materials. 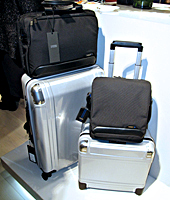 The store launch also marks the company's 75th anniversary as a leader in luxury luggage. For more information, please visit: Zero Halliburton.